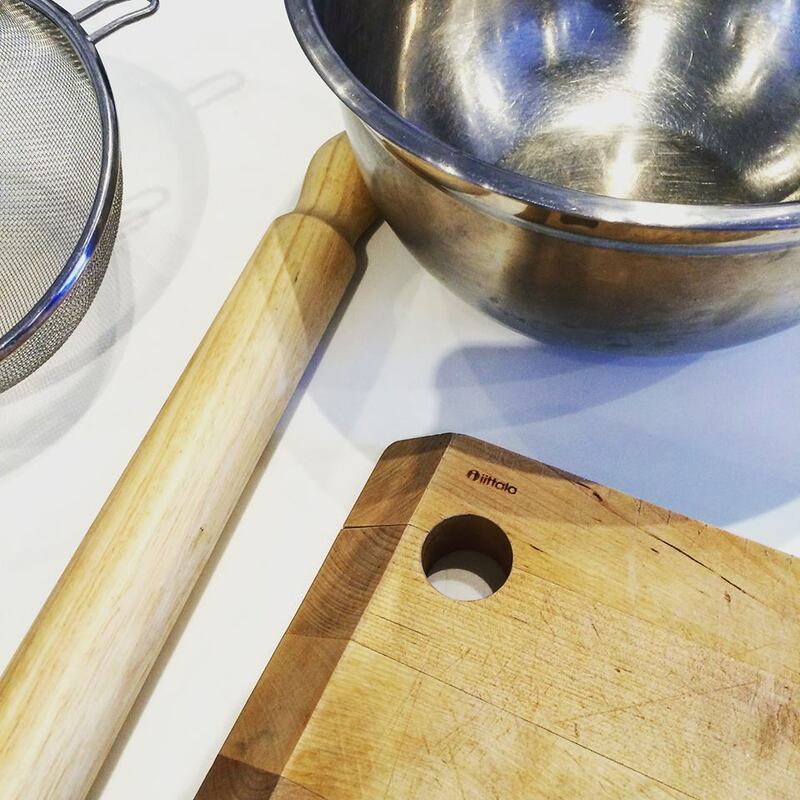 I was delighted to attend another one of the fabulous classes at the prestigious, award-winning Cambridge Cookery School (I wrote all about the Beginners’ Bread class here). 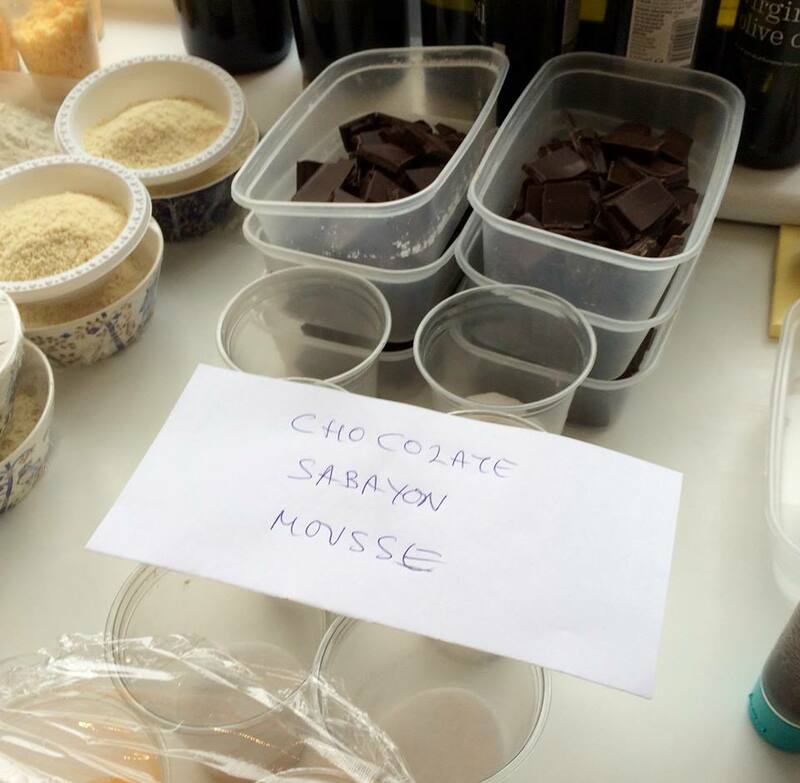 This time it was a Chocolate Masterclass, titled La Journée Chocolaterie (loosely translated as “A Day of Chocolate”). I love chocolate so how could I resist? 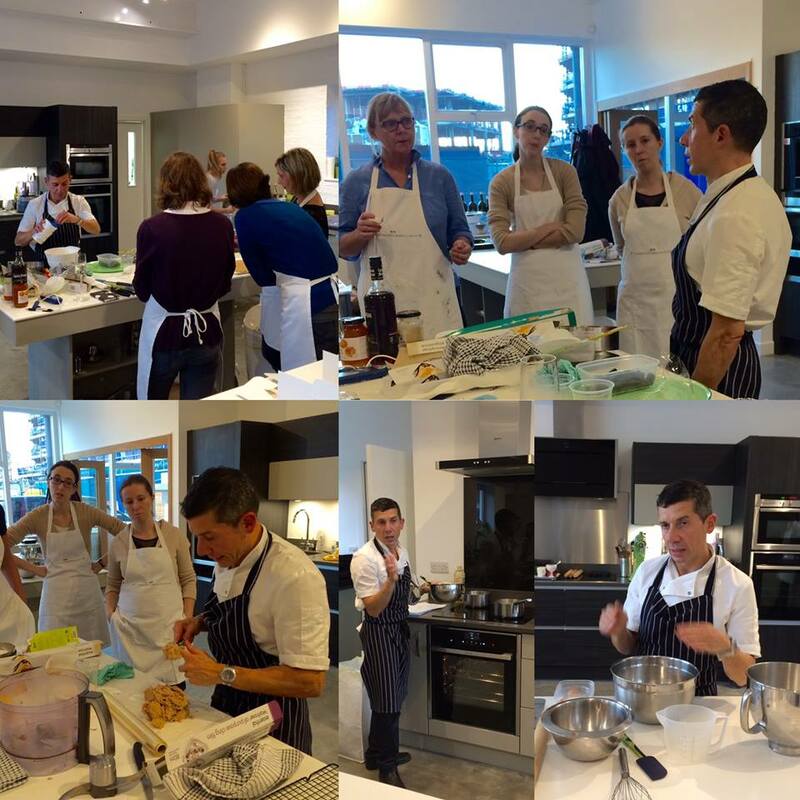 The class was taught by Pâtissier Javier Cervantes, a London-based, Spanish-born chef with an extensive culinary resumé that includes teaching experience. 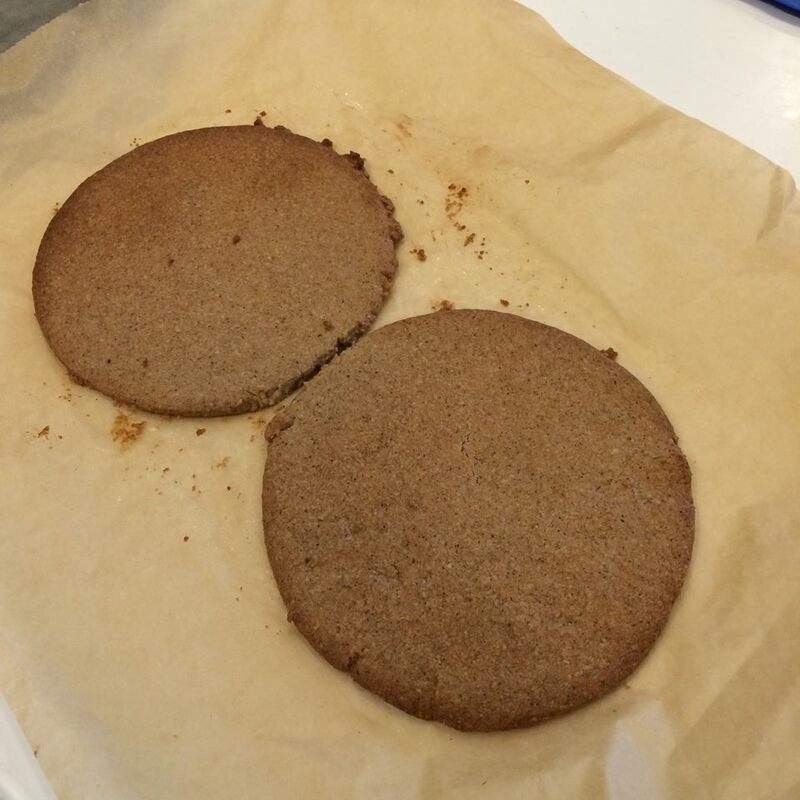 I was a last minute replacement so the masterclass was a little out of my league as I don’t really bake. However, I have to say that in spite of my limited baking skills, Javier Cervantes had an excellent teaching technique. 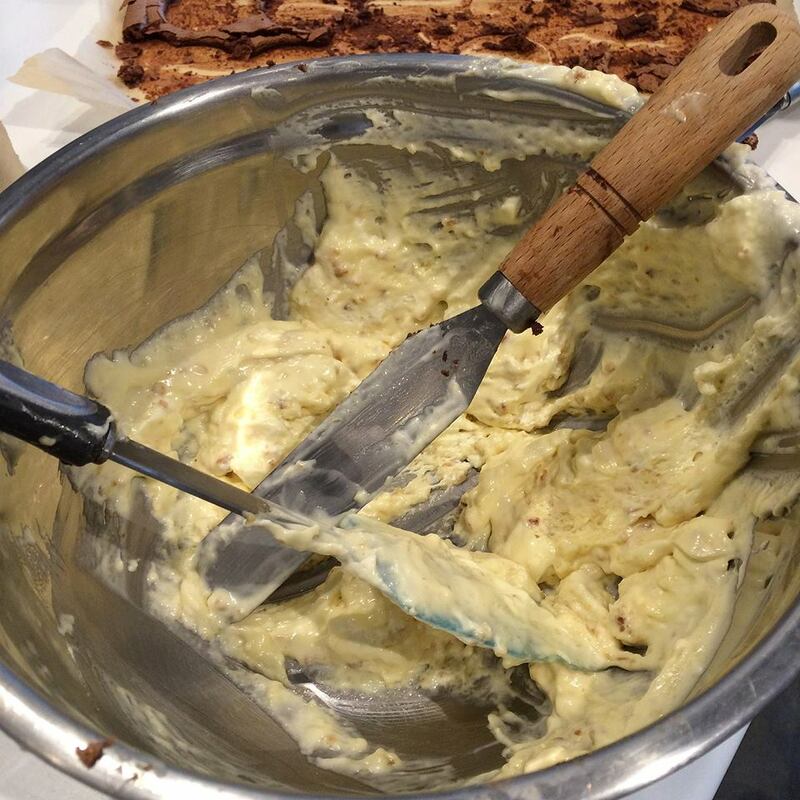 It was a real privilege to tap into the knowledge and expertise of such an accomplished pâtissier. Javier explained and showed us the various techniques. The class was interactive and Javier ensured that we had the opportunity to ask questions. We were a group of ten people and worked in pairs at our own workstations. My teammate was the lovely Barbara who, thankfully, was very patient and understanding about my lack of baking knowledge. We learned to make Hazelnut & White Chocolate Mousse Torte and Mozart Cake, including all of the steps involved in assembling these desserts. 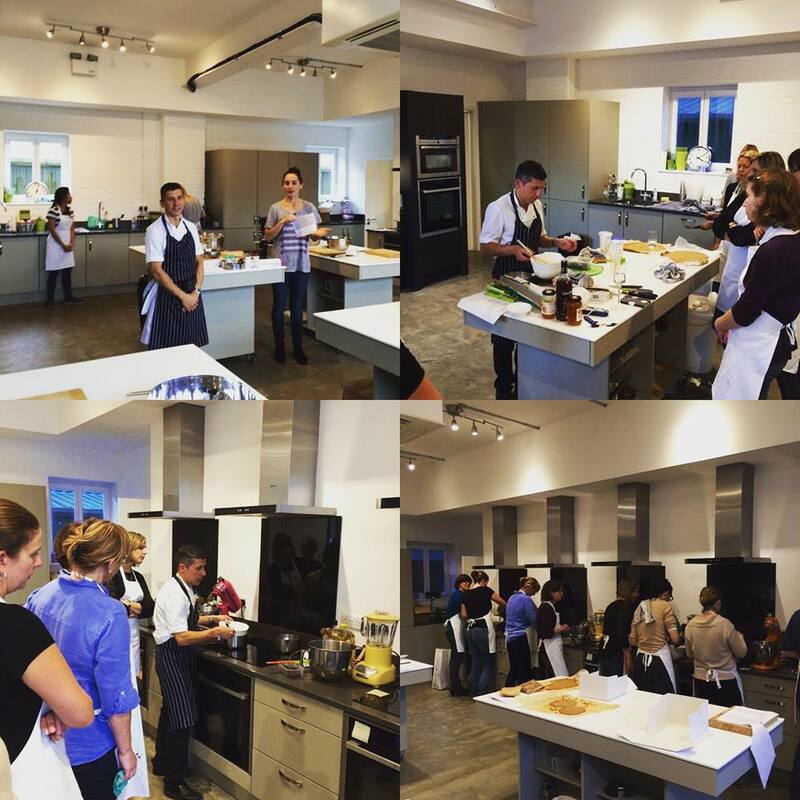 The Cambridge Cookery School team had everything set up and prepared in their bright contemporary kitchen featuring state-of-the-art appliances. All of the ingredients were organised and measured. 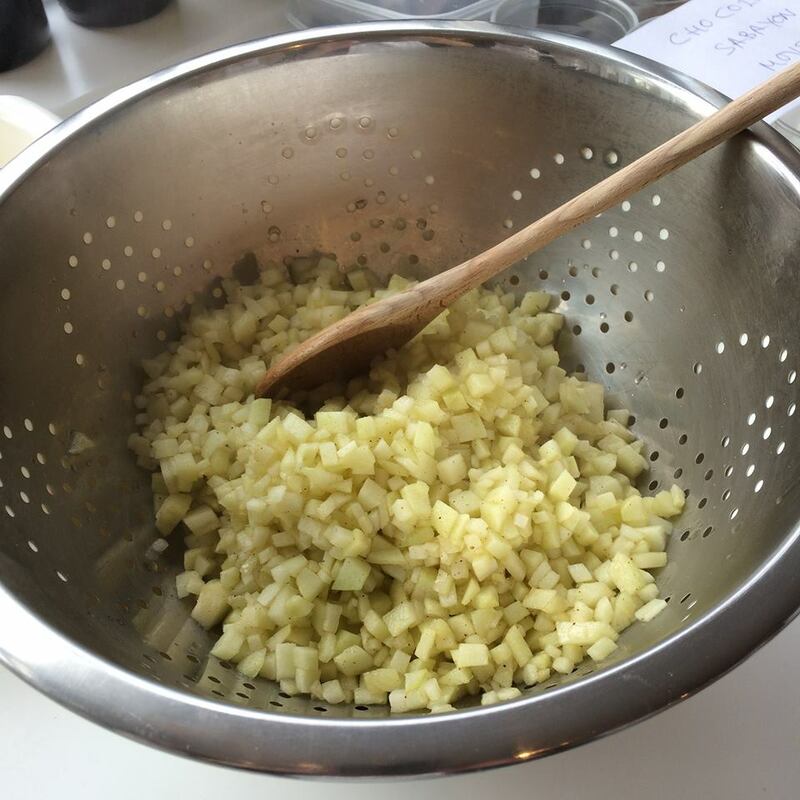 Other helpful shortcuts included toasting/grinding hazelnuts, hard boiling egg yolks and caramelising apples. 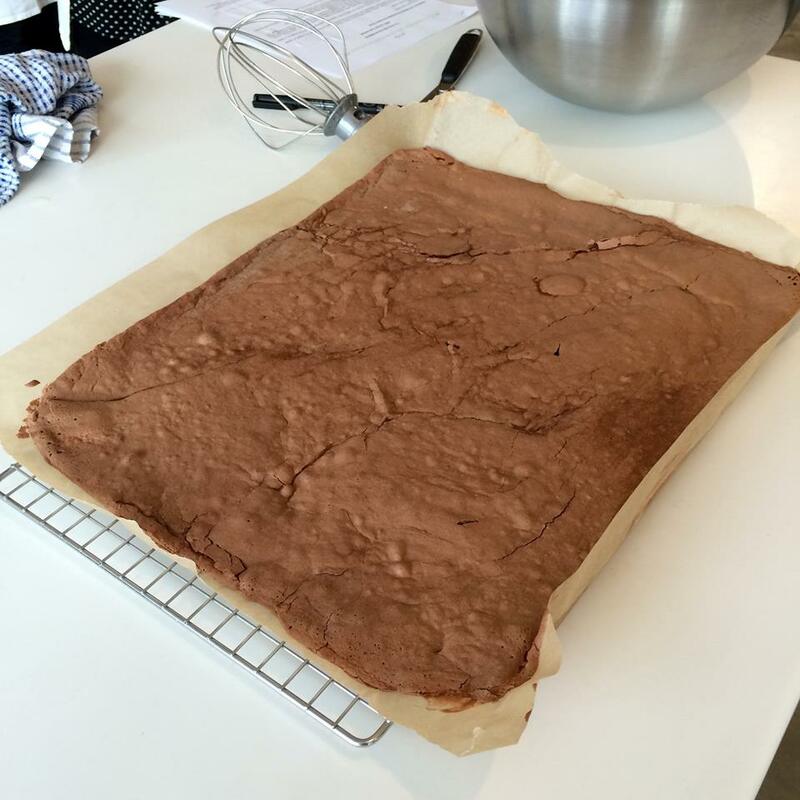 We started by making a flourless chocolate biscuit that would be used later to layer the Hazelnut and White Chocolate Mousse Torte. 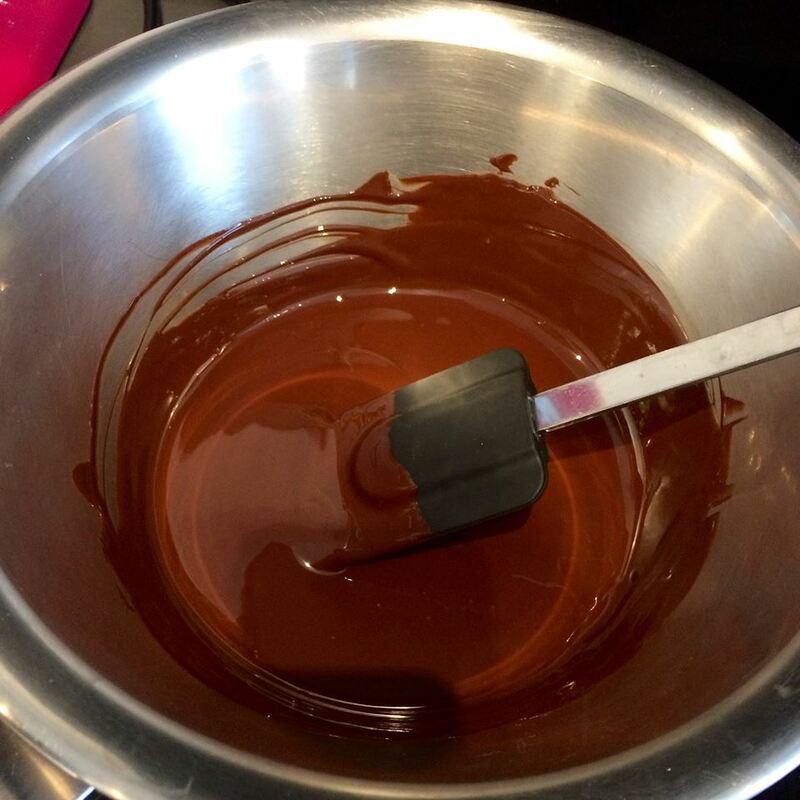 This included melting dark chocolate in a bain marie, whisking eggs then using the folding technique Javier taught us. We made the white chocolate and hazelnut mousse, including the pâte à bombe (a hot syrup made with sugar and egg yolks that’s used as a stable base for mousse-like desserts). I was more than happy to stay on apple-dicing duty during the pâte à bombe preparation. 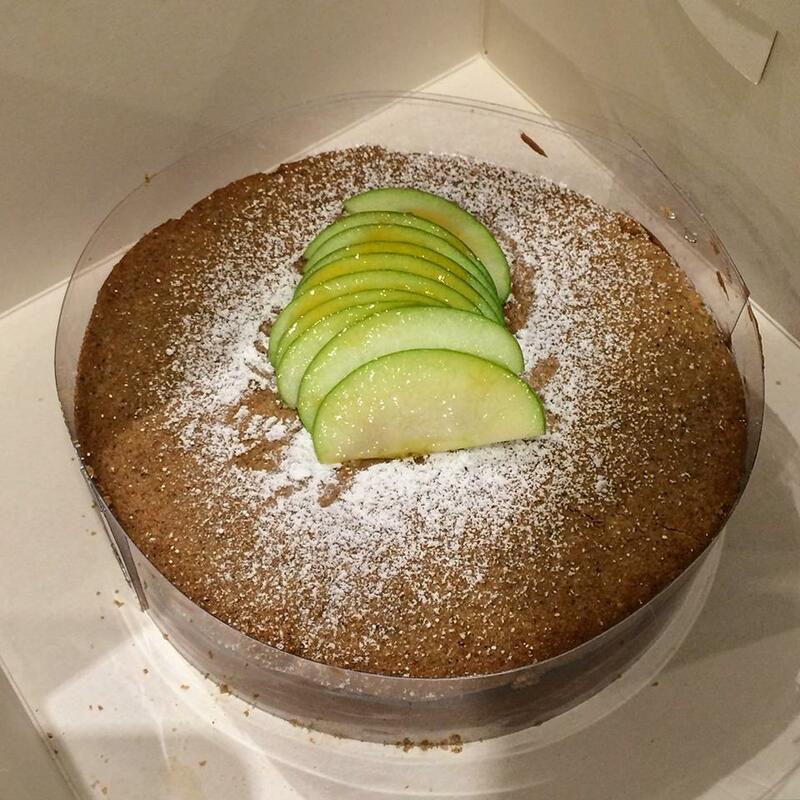 The apples would be used for the Mozart Cake later on. 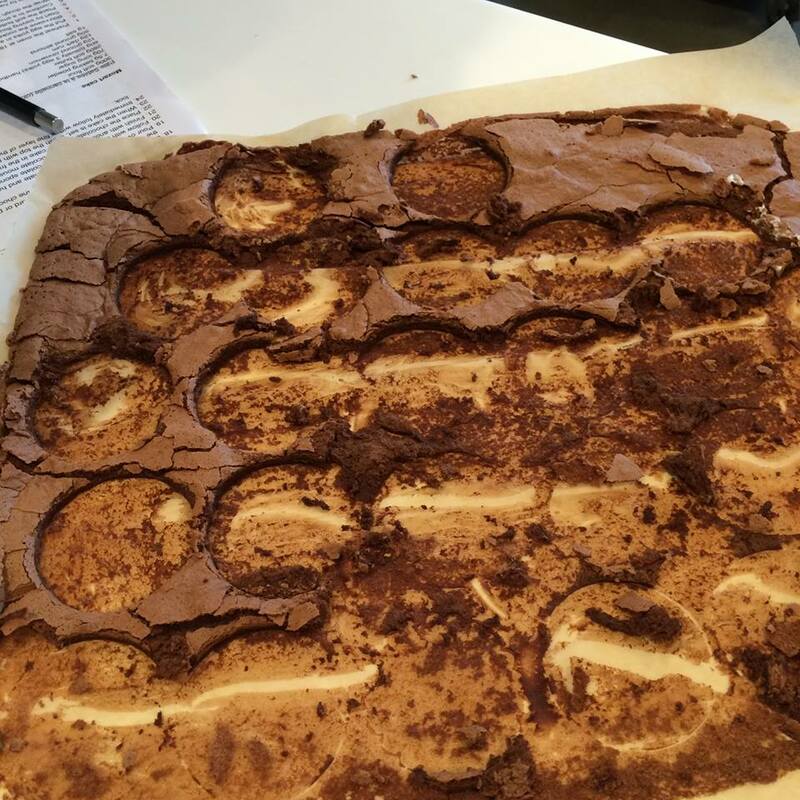 Once the chocolate biscuit was baked, we later cut out circles to layer them into 12 mini tortes (6 per person). 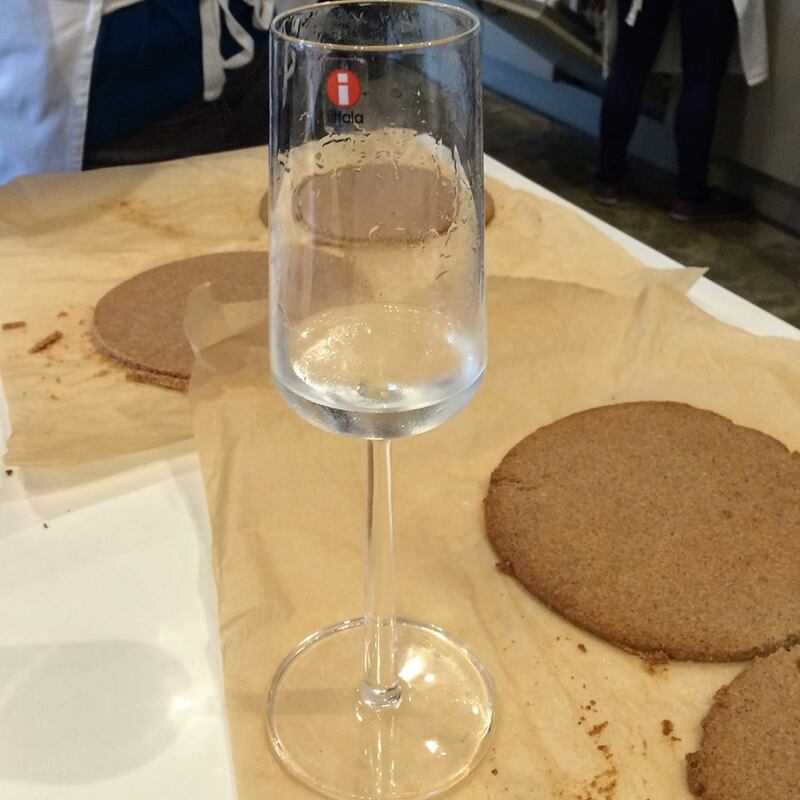 There was a whole torte made for the class to enjoy, along with Prosecco, later in the day. Seconds? Yes, please! We also made Mozart cake, a masterpiece layered with cinnamon sable discs, chocolate sabayon mousse and cinnamon scented apples. 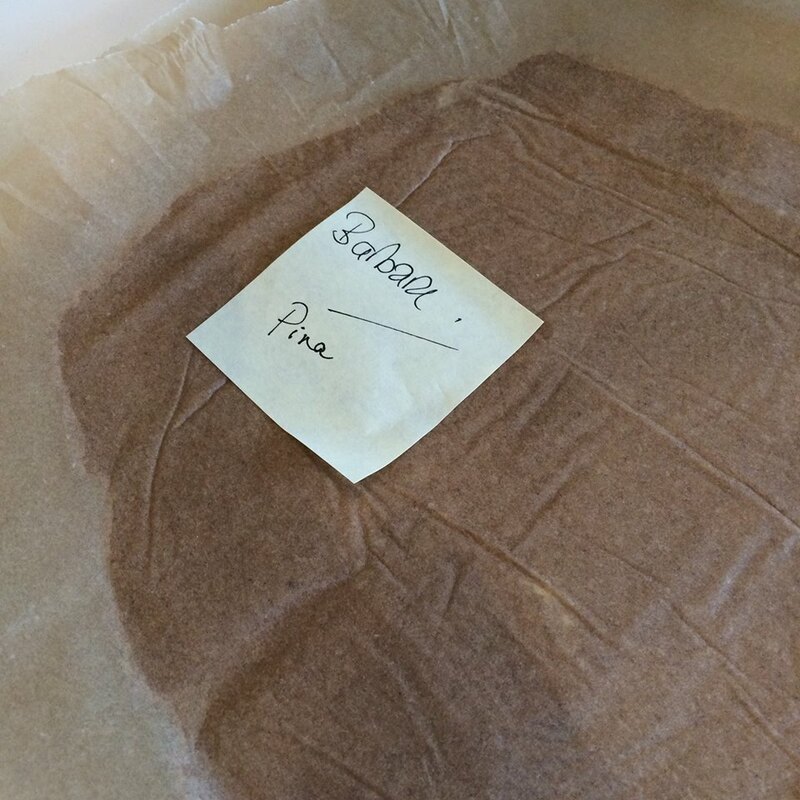 Javier taught us to make the cinnamon sweet pastry for the sable discs (pâte sablée à la cannelle), which required some skill as the texture is meant to be sandy (hence, the French word sable). 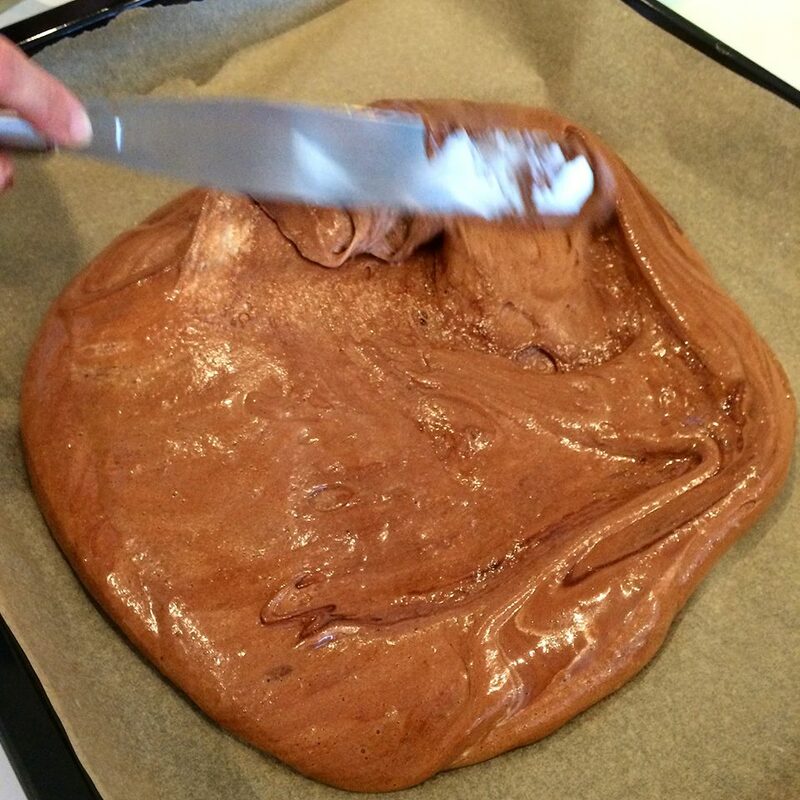 While the pâte sablée baked, we made chocolate sabayon mousse. The cinnamon apples (which I helped peel and dice earlier on) were caramelised for us. 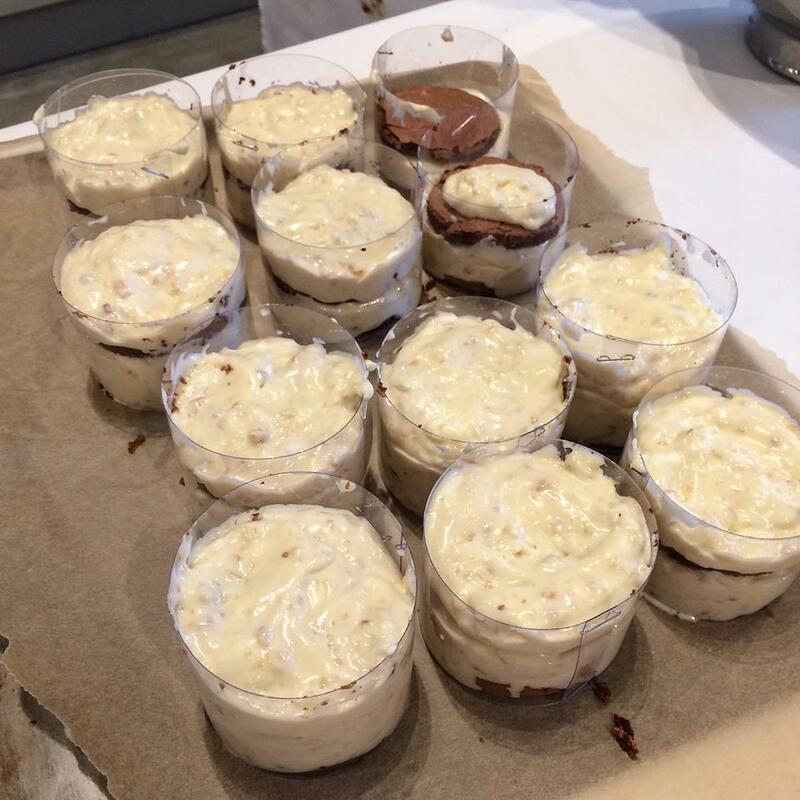 We assembled our own Mozart cakes, layering with sabayon mousse and apples. I, of course, broke the top cinnamon sable disc so whilst I do have a photo of my lovely creation for posterity, here’s a much better photo of Barbara’s Mozart Cake, topped with apple slices and brushed with apricot glaze. 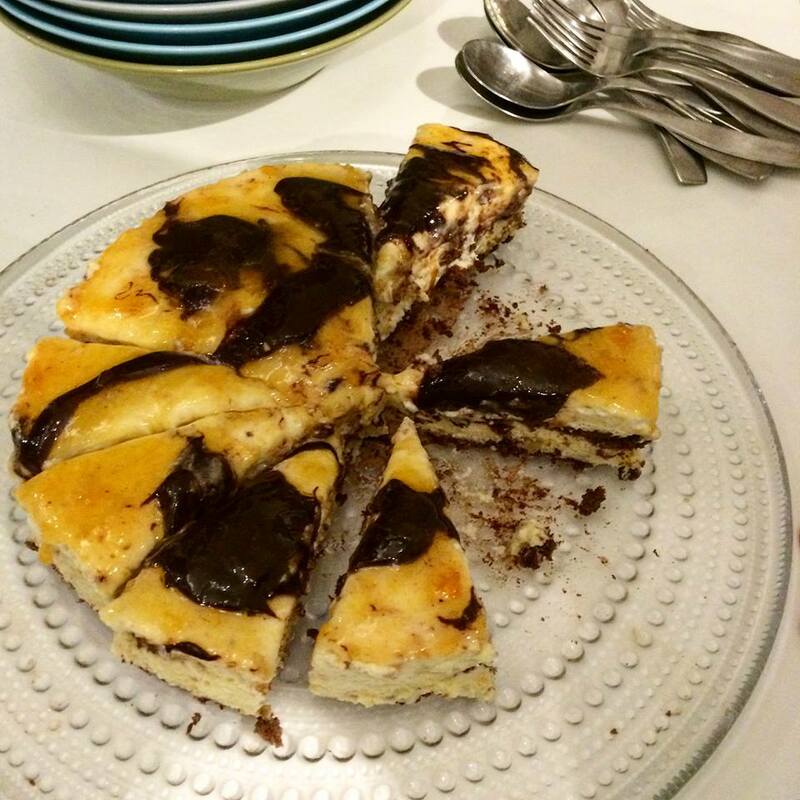 My (cracked) Mozart cake may have looked less than perfect, but it definitely tasted delicious! We were given two big boxes to take home our 6 mini tortes and cake. 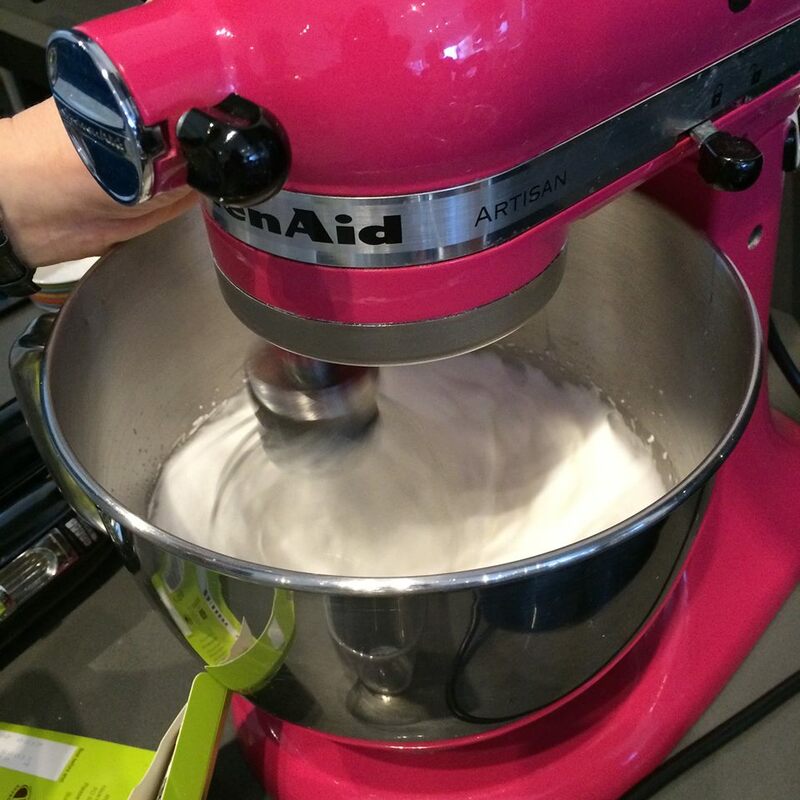 I learned so much from the class and it definitely inspired me to keep baking. This was the first of a series of classes led by guest chef Javier Cervantes. 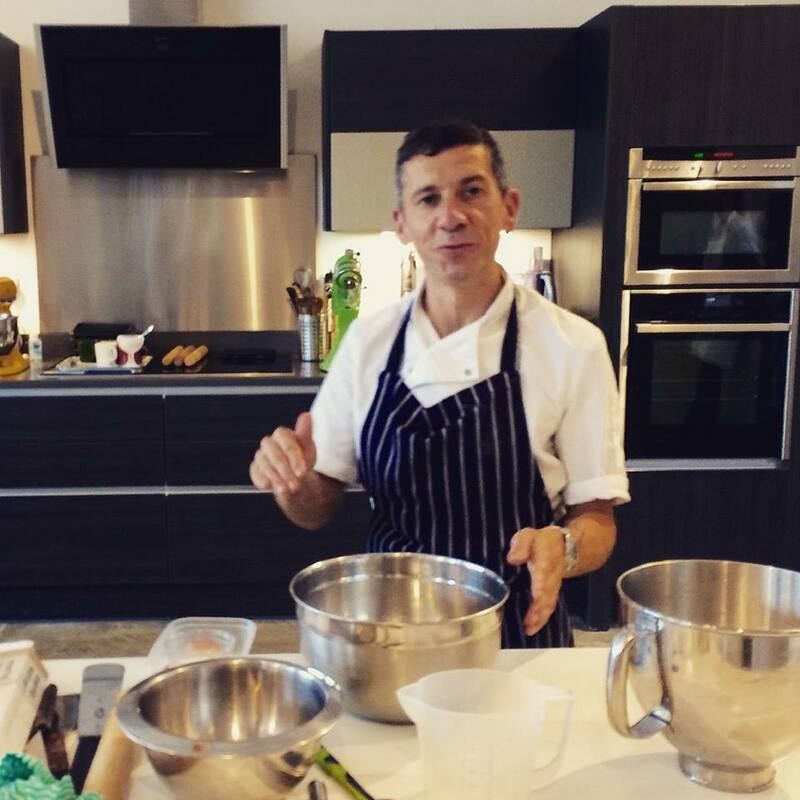 Have a look at Cambridge Cookery School’s 2016 masterclasses with Javier Cervantes so you too can have the great opportunity to learn from a Master. 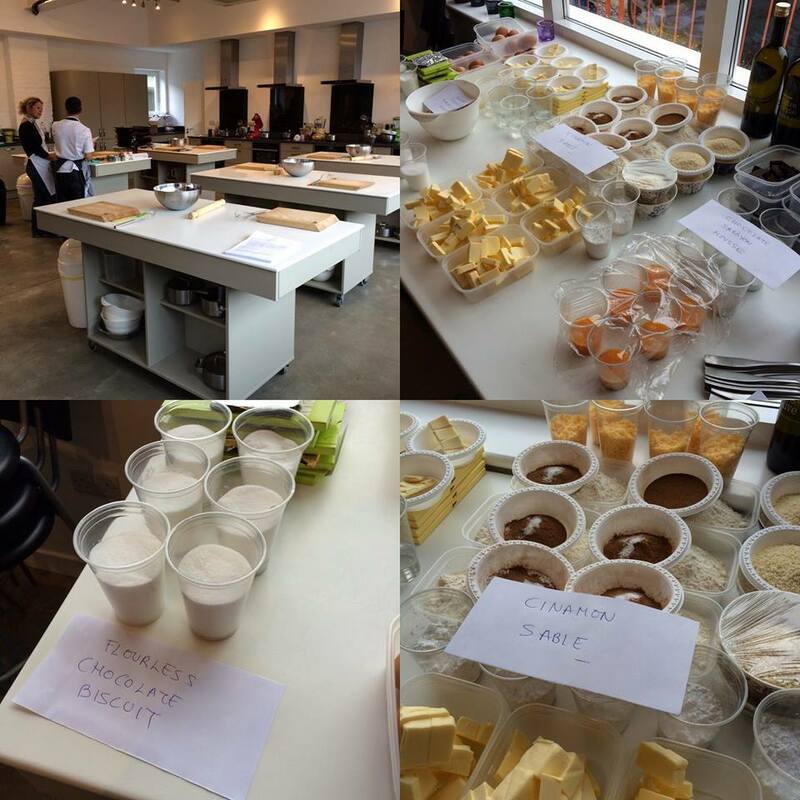 Due to a last minute cancellation, the Cambridge Cookery School were able to invite me to attend the Chocolate Masterclass, as the students worked in pairs. I was by no means obligated to write about it but decided to share the experience in a written review. Although the class was complimentary, all views are my own. I did not receive compensation for my review. This entry was posted in Food Events and tagged Cambridge, Cambridge Cookery School, chocolate, chocolate masterclass, chocolate sabayon mousse, flourless chocolate biscuit, Hazelnut & White Chocolate Mousse Torte, Javier Cervantes, Mozart Cake, pâte à bombe, pâte sablée à la cannelle by One Two Culinary Stew. Bookmark the permalink.